Last Tuesday there was a MAC lipstick sale at Debenhams as part of national lipstick day, and I thought it was a great excuse to indulge! I’ve never owned a MAC lipstick but I’ve always heard amazing things about them, such as their colour ranges and their staying power! As a purple lover, I reaaaaaally wanted a purple lipstick, as it’s edgy, strong and would work really well with black clothing, which I wear a lot of. I remember watching a YT video of one of my favourite guru talking about Heroine, and it looked amazing on her so I thought I’d give it a go! So, the packaging as always is professional, clean and stylish looking, and when added with the rest of your Mac collection, makes everything look professional and organized, which I love. When I rolled the colour up, I was so excited to use Heroine as I loved the colour so much more in person. 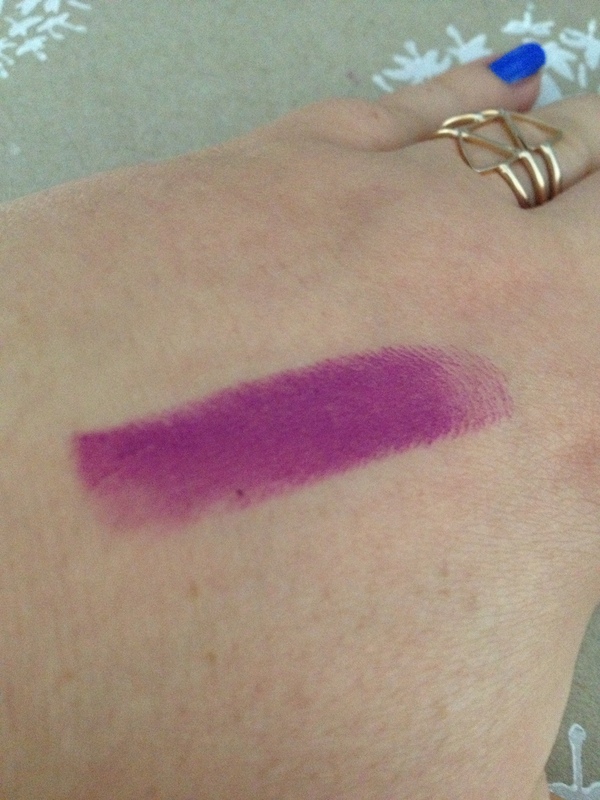 It’s an amazing, vibrant, violet purple, I knew I was going to fall in love with this lipstick! When I swatched Heroine onto my hand, the colour does come of slightly lighter, but that is the case with most lipsticks, and normally when I am putting lipsticks onto my lips, I always do a couple of layers for intense colour. When I put Heroine on my lips, I loved the smoothness of the lipstick. It wasn’t greasy, but really soft feeling and also, it smells so good! It smells really sweet and sultry but not overpowering. I did need to apply two coats of it onto my lips for intense colour, but I expect that with every lipstick. Heroine is also a matte colour, so it is not overwhelming and gives off a vampy look. I applied Heroine straight from the tube, but sometimes I do use a lip brush for precision. I also blotted in between layers to help the colour stay as long as it can, and actually as with most Mac lipsticks, the staying power is pretty good and lasted over 4 hours! After that, the colour does tend to fade a bit with eating and drinking, but you are left with a pink/purple stain, which also looks really cool. 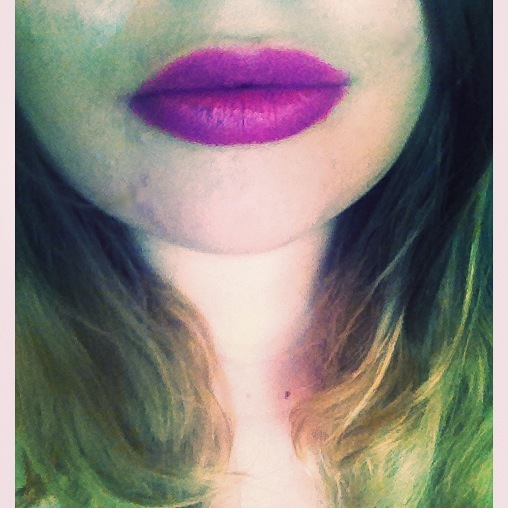 I recommend Heroine by Mac to anyone and everyone who loves vibrant lips! Darker colours do look a little better on bigger lips though, as sometimes dark colours can make thin lips look even thinner, but whatever, wear what you want! Personally, I would style this lip colour with black, and a simple or smokey eye look as the lips are so bold. 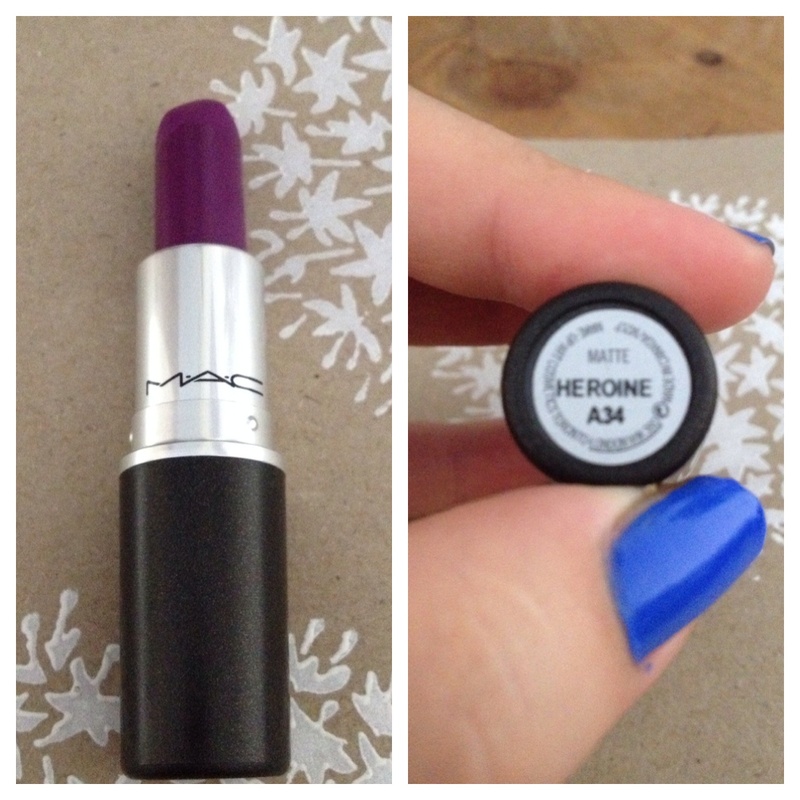 You can find Heroine by Mac on the Mac website for around £15.50, but it really is worth it, and I reckon it will last you as you probably won’t wear this everyday!